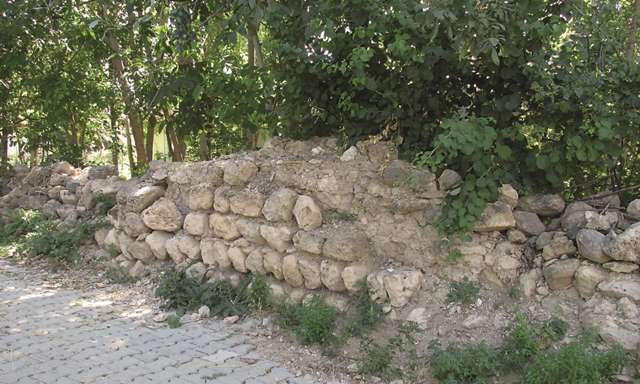 Not much remains of this han whose stones have been lifted by the villagers over the years, and which is believed to have been one of the seven hans built by Mahperi Hatun in the Tokat region. 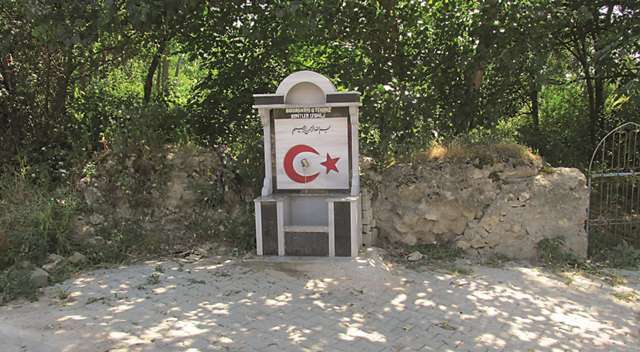 The Ibibse Han is located on the Tokat-Zile road, at mile 13 turnoff south of the village of Ibipse, which lends its name to the han. It is located 5 km outside the village of Sungur, on the northern face of Ak Mountain. It is located on the Sivas-Amasya caravan road, which was an alternate route used to bypass the city of Tokat from the west. The Samsun-Sivas road reached the Pazar Hatun Han. From there, a branch road led into Tokat, and another branch road south passed through rugged terrain, curving over mountains before reaching the Ibibse, Tahtoba and Çiftlik-Camlibel Hans. After the Çiftlik-Camlibel Han, it led to the Yeni Han in Yildizeli, which is an Ilhanid period building. The road connected with a flat and straight road coming from Tokat after the Yeni Han. From here, it arrived at Sivas by crossing over the Yildizeli and Kesik Bridges. The structure is named after the village in which it is located. The oldest reference concerning this han, is attributed to Tschihatscheff, who passed by it and described its architectural features. The French Jesuit missionary Jerphanion mentioned the substantial amount of building materials surrounding the structure, but nothing more. The architectural historian Gabriel mentioned the name of the han in his work. The inscription plaque has been lost. As the inscription plaque has been lost, its construction date and patron are unknown, but it is traditionally considered to be one of hans built in this region by Mahperi Hatun, wife of Alaeddin Keykubad. The han is oriented east-west. It was built in two sections, with a covered section and an open courtyard. The courtyard is wider than the covered section. 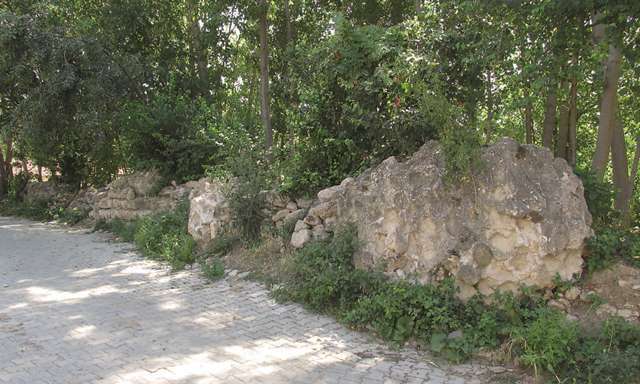 Only one wall of the han remains standing today, and the road leading to the village center passes over the courtyard area of the building. New buildings were built in front of and over the former walls of the han. Some parts of the vaults and the cornerstones of the building were seen by Erdmann, but they have since been pillaged for use in the construction of the houses of the villagers. It is, however, possible to determine the original plan from the remains. The covered section comprises three naves of approximately the same width. The walls are set with solid stone blocks filled with rubble and mortar. Reuse spolia material can also be seen in the building, and much of the structural material used in the han can be seen in the surrounding houses in the village. The walls were set with solid stone blocks filled with rubble and mortar between them. Reuse spolia materials were also placed in the building. It is estimated that the original size was approximately 1300 m2, roughly the same size as the nearby Çiftlik and Çakalli Hans. The han is in ruins today. The stones and building materials taken from the structure were used to build houses of the village around the han. Eravşar, Osman. Yollarin Taniklari (Witnesses of the Way), 2017, pp. 486-488. Eravşar, O. & Yavuz, A.T. Ortacağda Küzey Anadolu Yollari ve Yol Üstü Kurluşlari. 109K369 Tubitak Projesi Sonuç Raporu, ULAKBIM, 2010. Erdmann, Kurt. Das Anatolische Karavansaray des 13. Jahrhunderts, 1961. Vol. 1., pp. 191-192, no. 63. Gabriel, A. Monuments turcs d'Anatolie, I, II. Paris: Ed. De Boccard, 1931, 1934, p. 112. Jerphanion, G. de. Mélanges d’Archéologie anatolienne. Mélanges de l’Université Saint-Joseph, tome 13. Beirut, 1928. Özergin, M. Kemal. "Anadolu'da Selcuklu Kervansaraylari", Tarih Dergisi, XV/20, 1965, p. 152, n. 51. Tschihatscheff, P.A. Reisen in Kleinasien und Armenien, 1867, p. 12.